The Yamaha line of Intermediate flutes has been updated to surpass the evolving needs of student flutists. 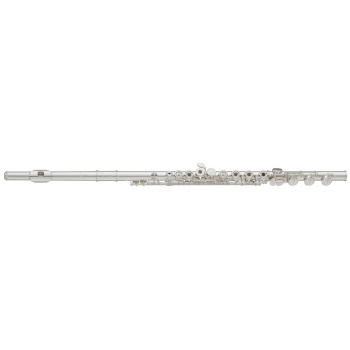 Featuring an industry-leading pointed key arm design and a complete review and update to many aspects of the production process, the 400 series intermediate flutes emphasize the Yamaha consistency and quality that keeps these flutes strong and singing for young flutists. The YFL-462H features a sterling silver headjoint and nickel silver body with open-hole keys, an offset-G key, and B-footjoint with Gizmo key. You haven't added anything to your wishlist yet silly! Click here to look at more stuff!